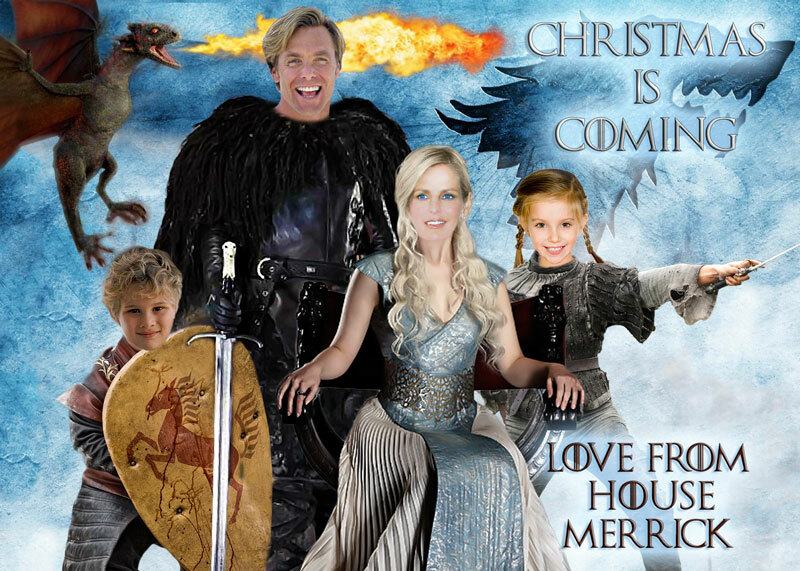 Game of Thrones Christmas card. Turn your family into the characters from GAME OF THRONES. CHRISTMAS IS COMING! I will put your HEADS on the body of the Game of Thrones characters as REALISTICALLY as this example. You can change the text to suit your occasion. This invitation can be adapted for any FAMILY members. You tell me what YOU require. ☆Add any other member of the family ☆Change Daenery’s hair colour to suit yours ☆Change a Game of Thrones character to suit. ☆Subtract or add characters to suit how many children you have!! !